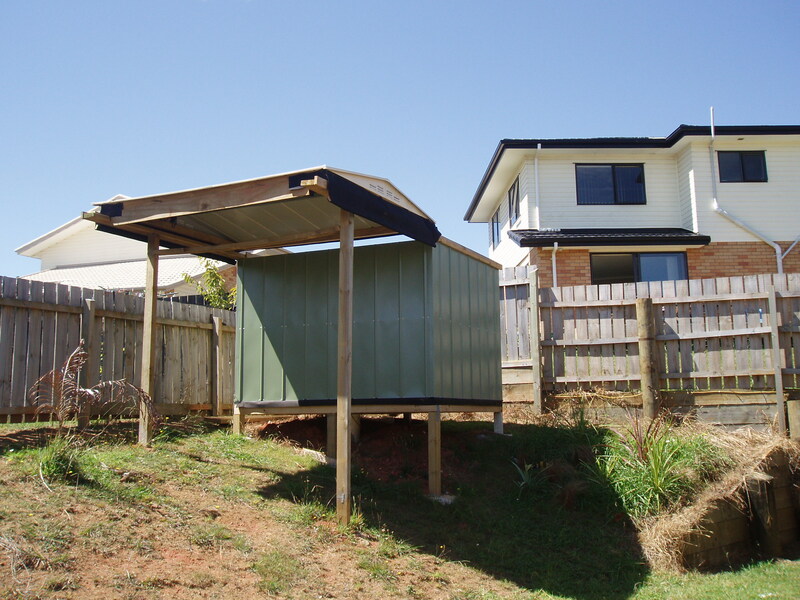 Jim Lowther Observatory (named for my grandfather, an engineer), is a Roll-Off-Roof type observatory, constructed from a steel shed (modified) on a purpose built wooden platform. It took about 2 months of sundays to construct with the help of a few friends. 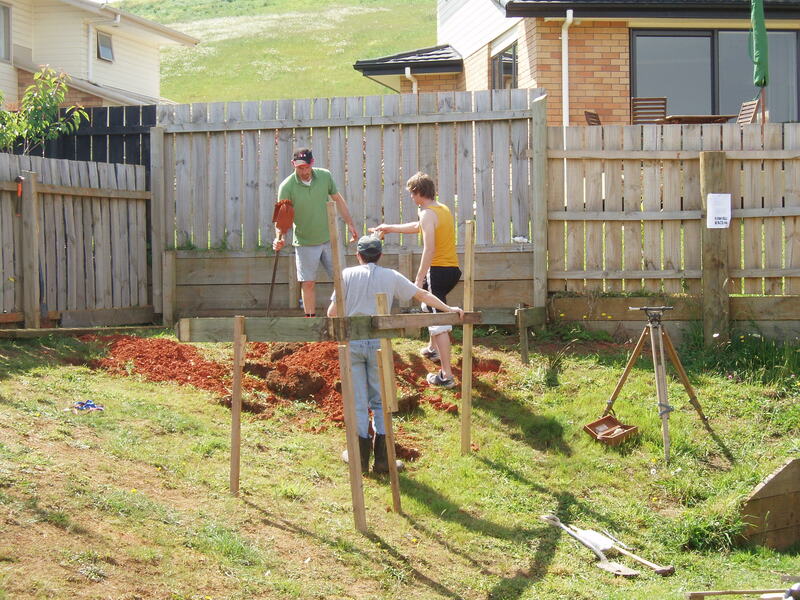 Chris, Nathan and i seemed to do a lot of spade leaning during the afternoon, but that is the method required for getting things right, especially when the plans only exsist in your head. My neighbours are all very conciencious when it comes to light pollution. 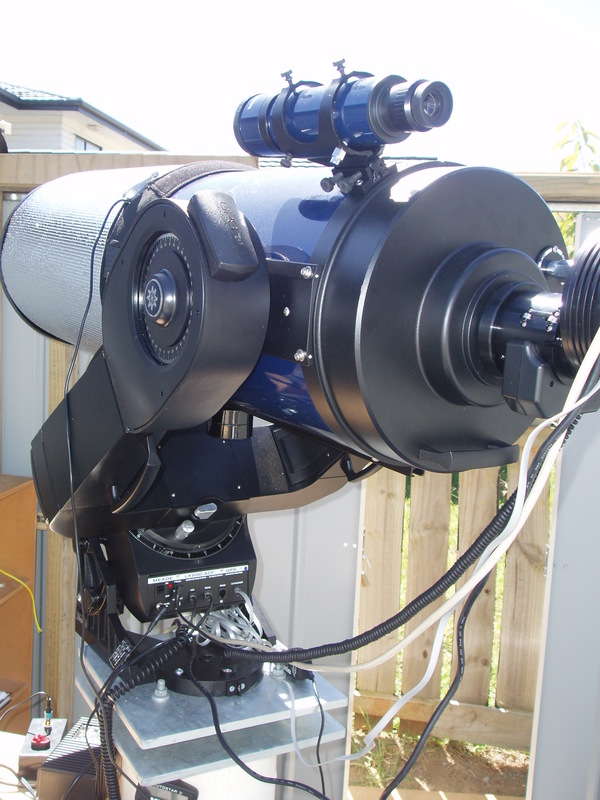 The telescope is a 10″ Meade LX-200 ACF. It has a focal ratio of 10. Its a shame Meade’s products are not to the same standard as thier ideas, however once the bugs are ironed out it is a great scope for an amature like myself. The scope sits on a pier, which is constructed from supply pressure culvert (150mm diameter) filled with concrete and buried about 1.5 meters into the ground. Two steel plates allow for tilt adjustment. The wedge is a standard wedge and is only just upto the job. As well as the dew shield i use a dew-not heater on the corrector plate. The CCD camera is an SBIG ST-7. It is a monocrome long exposure (upto 1 hour) camera. I cool it to -15 Celcius for use on Astrophotography and for measuring the PA and Seps of binary stars, as well as CCD photometry. These cameras are fantastic, they have dual sensors, the larger for the data collection and a smaller which is for auto-guiding. 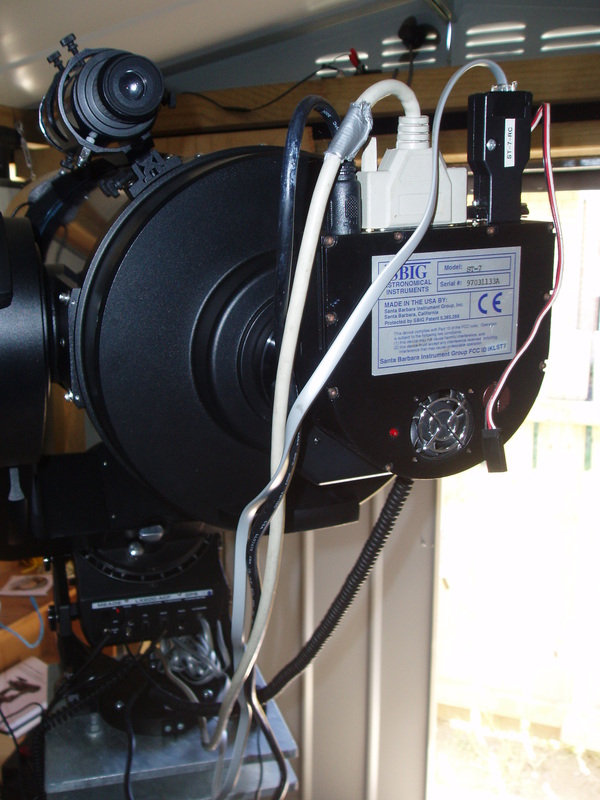 The whole setup is connected to a small PC running The Sky6 for telescope control and MaximDL for camera control. The PC is remotely operated from anywhere in my house using a VNC over a wireless network.